Today the Start Fund disbursed a total of £325,000 to fund four agency projects in South Sudan. 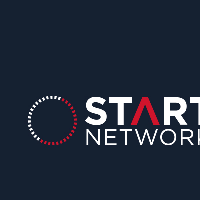 The decision marks the end of the first week of the Start Fund launch, in which the length of time from the original alert to the transferral of funds was just over three days. The process was initiated when the Start Network received an alert from Christian Aid about the crisis at 11:40am on Tuesday. The Allocation Committee decided at 11am on Wednesday to activate the Start Fund. Project proposals were received by midday on Thursday and the Project Selection Committee decided at midday today, after a thorough peer review process, to disburse funds to four of the seven submitted proposals. The money was transferred to the successful agencies by 3pm. This means the successful agencies now have seven days to begin implementing their projects, and 45 days to complete. Agencies will be reporting back on the learning gained from these projects within two weeks of the project completion date. The agencies who have received funding are Christian Aid, Plan International, Action Against Hunger and Tearfund. The projects aim to respond to the emerging major food crisis in South Sudan, where slow international response and slow access to emergency funds are limiting assistance to extremely vulnerable populations, including over one million people displaced by the conflict, as outlined in the updated briefing note from ACAPS. With the rainy season imminently threatening to close-off access to many of these areas, the Start Fund is providing small but timely injections of funds to meet urgent life-saving needs. This includes delivery of essential nutrition supplies to limit gaps in treatment of severely malnourished children, distribution of essential NFIs to preserve health and protect dignity including hygiene kits and drug kits, together reaching over 33,000 beneficiaries. The Start Fund is also supporting a SMART survey and Rapid Nutrition Assessment which will run in partnership with the Ministry of Health (MoH) to provide crucial information on the nutritional status of affected populations. This will generate early warning information with the potential to catalyze the wider response to the benefit of vast numbers of at-risk populations. The aim of the Start Fund during this six month design phase is to allocate small scale grants to fill critical gaps in emergency response. Long term funding is a challenge for agencies responding to the crisis in South Sudan. It is hoped that these early, small-scale grants will also be leveraged to secure ongoing support from additional donors to respond to the deteriorating situation.